Hmm... Something else belongs here, but it seems we had trouble loading it. Please let us know by clicking here, and reference this message id: w12-nyc1-04.21.2019 02:51:52 AM. 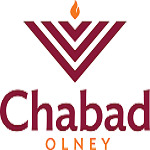 I would like to receive news and updates from Chabad of Olney by email.